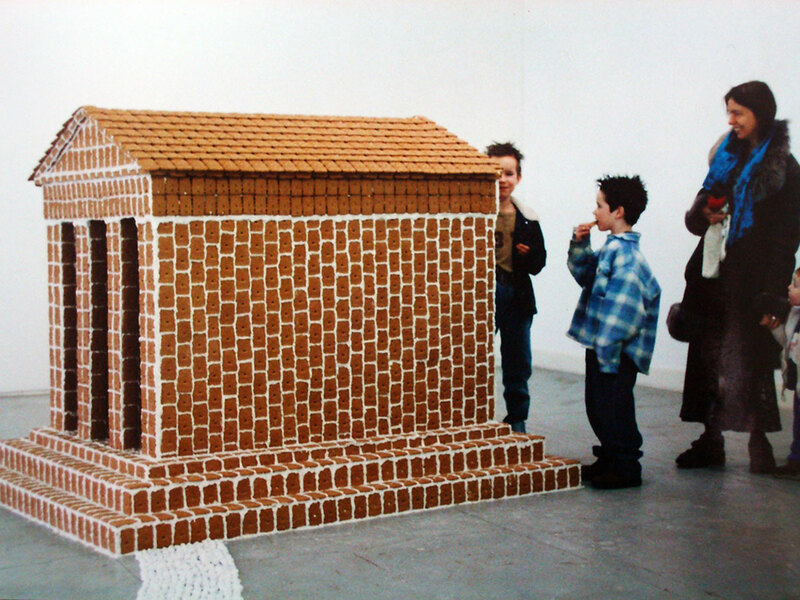 Speculation (in Dutch: Speculatie) is a play on words: it refers to both financial speculation and the Dutch word for gingerbread: speculaas. One of the earliest forms of speculative enterprise that prefigured the modern era of multinational corporations and stock markets was exemplified in the 17th century by the Dutch East India Company, (VOC). The trade in the spices used in this traditional cookie lead to great wealth, but as in all speculative enterprises, carries with it the possibility of vulnerability and collapse. 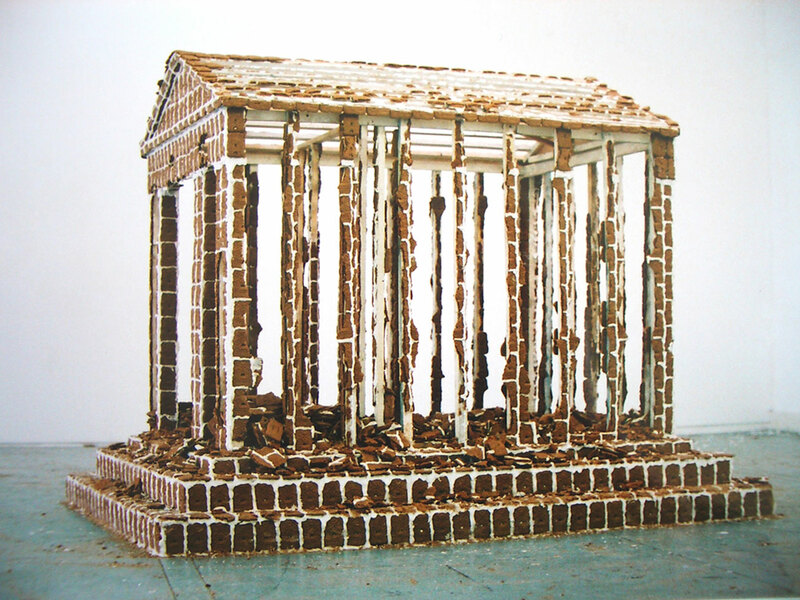 Speculation was made at De Nederlandsche Cacaofabriek in Helmond, NL, during a two-month residency period. 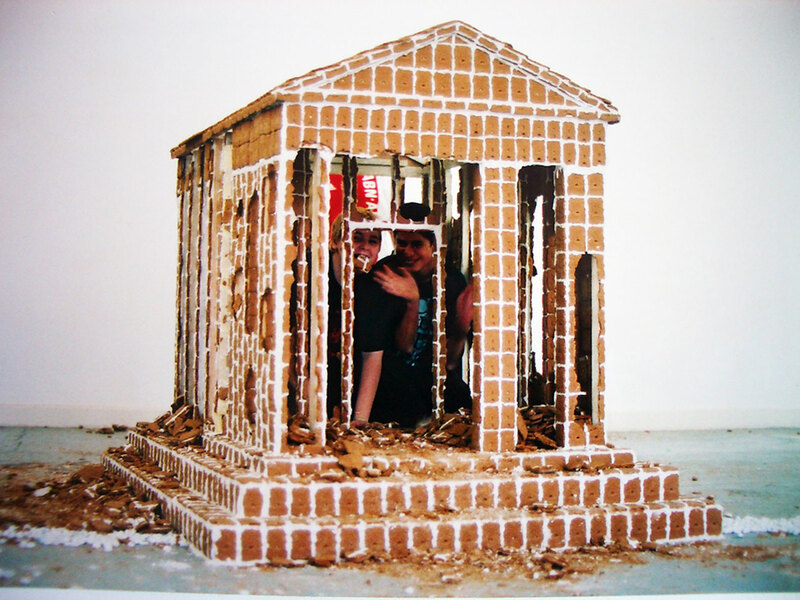 The form of the gingerbread house was based on that of a Greek temple, which has throughout history often been the basis for many designs of not only palaces and banks, but also museums. Speculation is something that occurs not only in the arena of finance, but also in spirituality, and the art and housing markets: all areas of human endeavor where desires for some sort of gain are projected into the future.